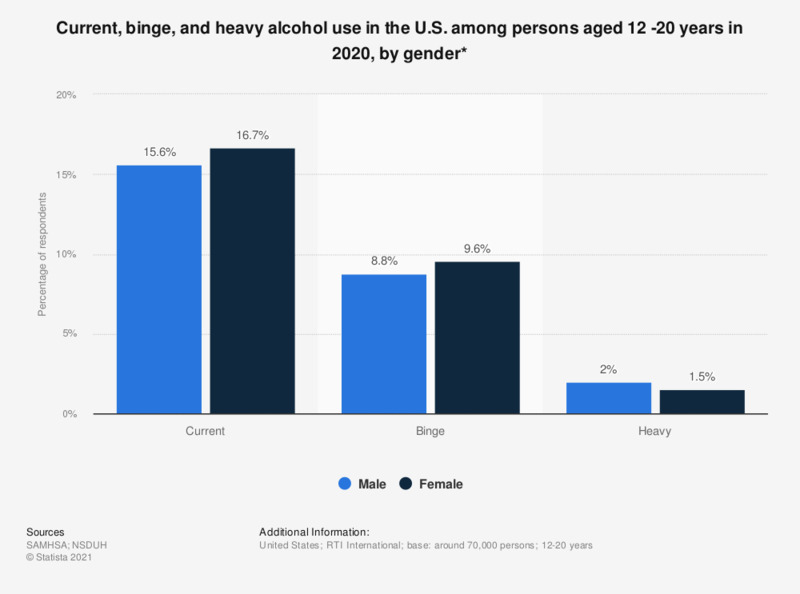 This statistic describes the percentage of those who had current, binge, and heavy alcohol use in the past month among persons aged 12 to 20 in the United States, by gender, in 2017. In that year, 12 percent of male persons between 12 to 20 years old claimed to have binged on alcohol within the past month. Heavy use refers to five or more drinks on the same occasion on each of five or more days in the last 30 days. * Alcohol use in the past month among persons aged 12-20 years. When did you last take a drink of any kind of alcoholic beverage?